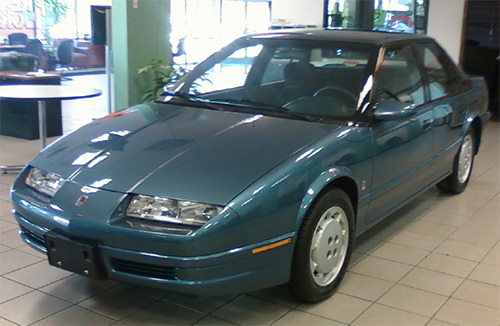 Model year 1994 marked what Saturn called "Balanced Excellence" in terms of offering customers exceptional value for their money in the small car market. Attaining "balanced excellence" required Saturn to pay critical attention to a host of buyer expectations. Among them were a high level of performance without sacrificing fuel economy or emissions; affordability while maintaining reliability and durability; and an overall commitment to quality without compromise. Accompanied by numerous continuous refinements, the family of 1994 Saturn sedans, wagons and coupes were proof that "balanced excellence" could be achieved through subtle refinements and continuous improvement. 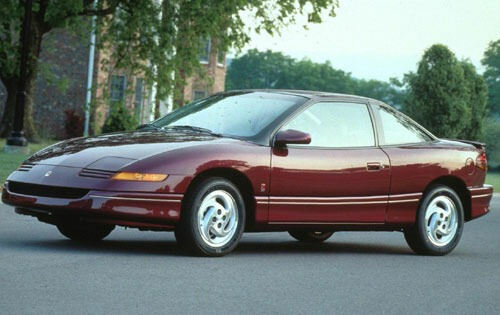 With its turbocharged engine and sizzling yellow-to-red paint scheme, the Saturn SCX three-door coupe ignited the passion of performance-car enthusiasts. 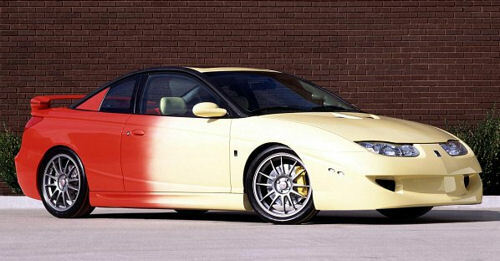 The SCX's 1.9-liter DOHC 4-cylinder engine was modified by Saturn Motorsports of San Diego to yield an estimated 300 hp, more than double the engine's normal output in the Saturn SC2. Along with its hot engine, the SCX boasted a high level of handling and sporty appearance cues that reflected the car's performance capabilities. 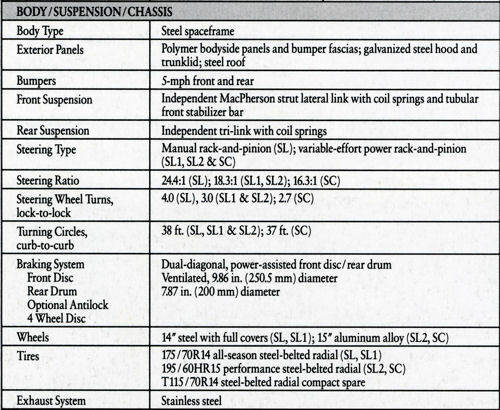 Shown above are the body, suspension, and chassis specifications for Saturn's 1991 sedans (SL, SL1, SL2) and coupe (SC). They were all built off of Saturn's so-called "Z" platform, which was essentially a compact front-wheel-drive steel spaceframe chassis. Sometimes its fun to pause for a moment at take a look back at how much things cost years ago. 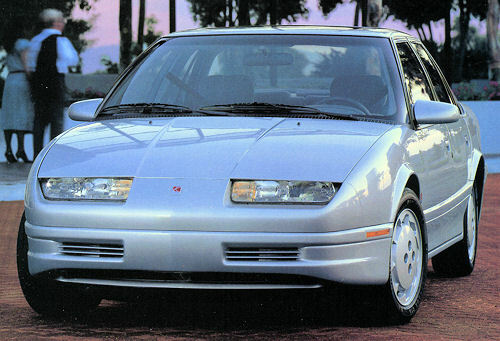 Take for instance Saturn's 1991 lineup, when base SL sedan was sold for less than $8000! The SL2, shown above, could be purchased for just over $10,000. 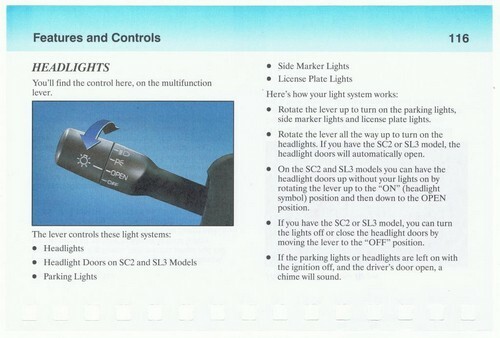 Note the simplicity of the option sheet, along with the available anti-lock braking system (ABS) and unavailable airbags. Earlier this week, Mark LaNeve, General Motors vice president of vehicle sales, service, and marketing told GM dealers, Saturn retailers, and the media about a new 0% promotion, the company's evolving production plans, and a 3.5% price increase. There are currently 4 users and 304 guests online.